Brussels sprouts are not many people’s favorite. Perhaps you have avoided cooking Brussels sprouts because you’re afraid they might not taste as good. The truth is they can taste delicious, and you don’t need many ingredients or much time to make that happen. Today I’m on a mission to convince you to pick those nutrient-packed sprouts next time you go to the grocery store. This recipe is perfect for when you’re on the run but still want a healthy dinner on the table. Pan-seared Brussels sprouts are a perfect side dish for almost any meal. ½ pound of Brussels sproutshalvedstems removed. 2 garlic cloves, thinly sliced. Melt 1 tablespoon of butter along with the oil in a skillet over medium heat. Cook and stir garlic until fragrant. Transfer garlic to a small bowl. Reduce heat to low and place the sprouts on the skillet, cut sides down. Sprinkle salt to taste. Cook sprouts without turning for about 15 minutes or until they’re slightly browned. Once cooked, transfer to a plate with brown sides up. Add garlic and the remaining 1/2 tablespoon of butter to the skillet and cook over medium heat, about 1 minute. Drizzle the mixture over your sprouts and sprinkle with ground black pepper to taste. Roasting is the secret to making brussels sprouts taste incredible. This roast with balsamic vinegar is the simplest you can do at home. If you’re feeling adventurous, feel free to add some of your favorite veggies to it! 2 pounds brussels sprouts, halved, stems removed. In a large bowl, mix sprouts with 2 tablespoons olive oil, sea salt, and pepper. Transfer the brussels sprouts to the baking sheet and roast for 20-25 minutes, until tender and caramelized. Make sure to flip them halfway through to ensure even cooking. Once roasted, transfer them back to a bowl. Add the remaining tablespoon of olive oil and balsamic vinegar and toss to coat. Enjoy it with your favorite meal! Brussels sprouts in a sandwich? Yes, you read that right. Grilled cheese makes sprouts taste even better! ½ pound brusselss prouts stem removed. Toss shredded sprouts with garlic, salt, and pepper. Cook for about 5-6 minutes until wilted and golden, stirring occasionally. Remove sprouts from the heat and place them in a bowl. Lower the heat to medium-low. Spread all the bread slices with butter and layer the sandwiches like this: bread, a slice of cheese, brussels sprouts, a drizzle of balsamic vinegar, another slice of cheese, and the other slice of bread. Cook in the skillet until the two sides of the sandwich are golden, and cheese is melted. A brussels sprout soup is perfect for those chilly, rainy, and snowy days. It’s also a great remedy for when you’re feeling under the weather. 4 pounds of Brussels sprouts, halved, stems removed. In a large bowl, toss Brussels sprouts,2 tablespoons of olive oil, salt, and pepper. Roast for 30-35 minutes until golden. Remove from oven and allow to cool. Set a large pot over medium heat and add1 tablespoon of olive oil. Cook onions until fragrant. Add Brussels sprouts, beans, cumin and vegetable broth to the pot. Cook until all the veggies are tender, about 15 minutes. Using an immersion blender, puree the soup inside the large pot until you’re happy with the consistency. If you don’t have an immersion blender, transfer the soup to a high-speed blender, blend, and move it back to the pot. Be careful not to burn yourself! This easy roast has a delicious garlic taste. Make it whenever you need a nutritious and quick side dish. 2 pounds of Brussel sprouts, quartered, stems removed. In a large bowl, toss sprouts and olive oil together. Add minced garlic. Spread your brussels sprouts on the baking sheet. Roast them for 20-25 minutes until fragrant and golden.Make sure to flip them halfway through to ensure even cooking. Take them out of the oven and let them cool. Serve with your favorite dish. This satisfying dish is packed with delicious chickpeas too. 2 pounds brussels sprouts, quartered, stems removed. Add garlic and sauté for about 1 minute. Add Brussels sprouts to skillet. Stir them occasionally until they are browned on both sides around 10-15 minutes. Add chickpeas and stir for about a minute. Transfermixture to large bowl and add lemon juice and cheese. Your taste buds will love this nutritious quinoa and Brussels sprouts combo. It’s a light yet fulfilling dinner or lunch. In a large bowl, toss the sprouts with olive oil, salt, and pepper. Place the brussels sprouts in the baking sheet and roast for 15 – 20 minutes until lightly browned and softened. Make sure to flip them halfway through so they get evenly cooked. Transfer the sprouts back to the mixing bowl and mix in quinoa and walnuts. Season with more salt and pepper if necessary. Enjoy it cool or warm. Add a sweet twist to your brussels sprouts roasts by adding honey. Heat oil and butter over medium heat in a large skillet. Add the Brussels sprouts and allow them to cook cut-side down for 10 minutes or until golden brown. Add garlic and water and cook 3-5 minutes, stirring occasionally. Cover the skillet and cook for 5-8 minutes, or until all the liquid has absorbed and Brussels sprouts are tender. Transfer the Brussels sprouts to a large bowl and toss in the walnuts. A brussels sprouts roast with potatoes makes a delicious stand-alone meal. Arrange the sprouts and potatoes in the baking sheet. Add the oil, chili flakes, salt, and pepper. Roast for about 30 minutes or until fragrant and golden brown. Make sure to flip them halfway through so they get evenly cooked. Remove them from the oven and add hazelnuts or walnuts. Put the tray back into the oven and cook for 10 more minutes until the nuts are slightly roasted. Remove the tray from the oven and drizzle the maple syrup over the sprouts. This decadent brussels sprouts dip will get you hooked on the veggies. 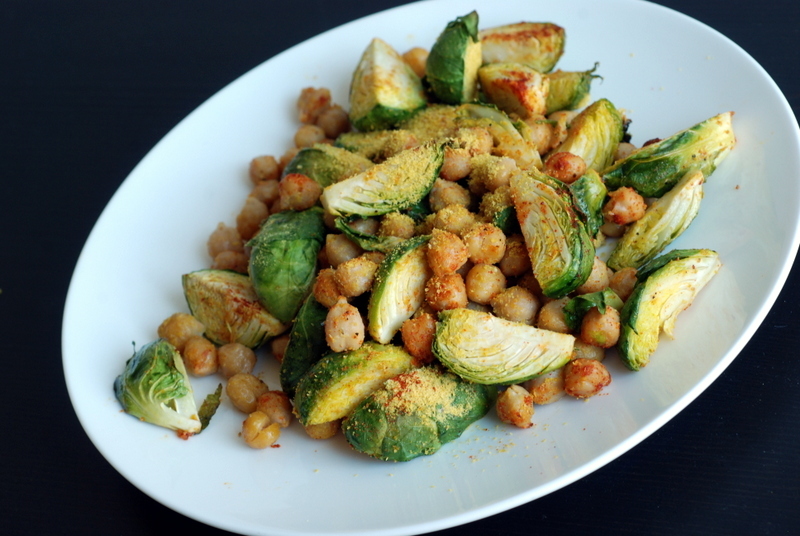 In a small bowl, toss the Brussels sprouts, olive oil, salt, and pepper. Arrange the sprouts in a single layer over the baking sheet. Roast for 20 minutes or until they start to brown. Chop the sprouts once they have cooled down. Combine brussels sprouts, cheese, sour cream, mayonnaise and shallots in a small bowl. 20 minutes or until the dip is browned and bubbly. Serve with bread or chips! You can also make them into a snack! Crispy Brussels sprouts chips are a great replacement to unhealthy processed snacks. Using a small paring knife, begin to cut off the bottom of each sprout to release the leaves. Continue to trim until each layer of leaves comes off. Stop when you are left with the core of the sprout. Put leaves in a large mixing bowl. Toss the leaves with the oil and salt to taste. Don’t use too much salt! Place the leaves in one layer on the baking sheet. Separate the leaves that have cupped together during tossing. Roast for 10-15 minutes, until leaves are golden and crispy. Be careful not to toast the entire leaf fully or it will be too bitter. Make a disease-fighting smoothie with brussels sprouts and delicious fruits to sweeten the deal. Blend all of the ingredients in a high-speed blender and enjoy! There are a lot of ways to get the nutrients your body needs from the least favorable ingredient like Brussels sprouts. What makes a difference is your will to get these nutrients. Your willingness will make you creative enough to try out recipes like the ones listed above in order to make yourself healthier. Which recipe was your favorite? Let us know in the comments!